For months Europe and the whole world have been expecting the decision of the German Constitutional Court on the European Stability Mechanism (ESM) and the Treaty on Stability, Coordination and Governance in the Euro Area, also known as the Fiscal Compact. The Court had to answer the question whether Germany's participation in the permanent eurozone bailout fund and the Fiscal Compact affected the budgetary powers of the German Parliament. The Court found that this is not the case but ruled that the ESM Treaty can be ratified only under certain conditions. The first is that Germany's contribution will be no more and no less than 190 billion euros, and that this limit cannot be exceeded without the explicit consent of the Bundestag. The second condition is, regardless of the requirements for secrecy of information in the ESM Treaty, the Bundestag and the Bundesrat should be duly and fully informed of the rescue fund's work to be able to develop an informed opinion. The question is how the court's requirements to be met as it explicitly insists these to be enshrined into international law - be it through a separate German protocol to the ESM Treaty or the treaty itself to be changed. The latter, given that it has already been ratified by most of the eurozone countries, would create enormous difficulties and significantly delay the launch of the fund. It has been already postponed, since it was intended the ESM to be operational in July 2012. As for the Fiscal Compact, it does not provide the European bodies with any powers affecting the budgetary responsibility of the Bundestag, the court said. Regardless of the requirement for a corrective mechanism in case of deviation from the fiscal targets and powers of the EU Court of Justice in case of non-compliance with commitments taken under the treaty, there is no direct EU interference in the national budget legislation, the judges state. In the court’s reasoning, however, we can find important signs regarding the reform of the Economic and Monetary Union, which was outlined in the so-called 'Report of the four Presidents'. Many analysts pointed out that the court would set the limits of the European integration without getting into conflict with the German Basic Law. The key reference in the court's reasoning is "the design as a stability union that the monetary union has to date been given under the Treaties." The definition of the eurozone as "a stability community" is "the essential basis" of the German participation in the monetary union, the court recalls. It recognises that the creation of a permanent rescue mechanism "changes the present design of the economic and monetary union in such a way that it moves away from the principle of the independence of the national budgets which has characterised the monetary union so far. This, however, does not relinquish the stability-oriented character of the monetary union because the essential elements of the stability architecture, in particular the independence of the European Central Bank, the commitment of the Member States to observe budget discipline and the autonomous responsibility of the national budgets remain intact." The constitutional judges do not consider any future changes in the European treaties to be incompatible with the German basic law from the outset, on the contrary - they are even desirable, provided that they are "democratically legitimised." The Court reiterates its position that "in order to comply with the stability mandate, a continuous further development of the monetary union may be necessary. If the monetary union cannot be achieved in its original structure through the valid integration programme, new political decisions are needed as to how to proceed further. It is for the legislature to decide how possible weaknesses of the monetary union are to be counteracted by amending European Union law." The changes, however, must safeguard the stability mandate, the democratic process and the parliamentary budget responsibility. The court is very specific as to what budget autonomy means - the ability of the Bundestag to make autonomous decisions on public revenue and public expenditure, including the country’s international and EU obligations. The Court recalls its decision from last year when it ruled that the rescue operations in the euro area did not violate the budgetary powers of the Bundestag, but that the government must seek a prior approval of the parliamentary budget committee before deciding on the participation of Germany. In the same vain, now the court said that "as elected representatives of the people, the Members of the German Bundestag must retain control of fundamental budgetary decisions even in a system of intergovernmental governing." And here we come to the third element of the stability architecture - the independence of the European Central Bank. As euinside wrote, the question on how far the ECB should go in its intervention in solving the sovereign debt crisis has created a lot of controversy with regard to the long-term development of EMU and the ECB's role in it. On the basis of the decision of the German court, we can assume that namely the ECB actions would be the subject of its next proceedings. 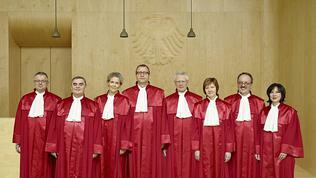 The German judges answer unambiguously a few questions discussed recently. For example, whether the permanent bailout fund ESM can borrow money from the ECB, including by depositing government bonds it has purchased. According to the court in Karlsruhe, it is impossible because "as a financial institution belonging to the public sector […] the European Stability Mechanism is one of the institutions specified in Article 123 (1) TFEU to which no loans may be granted". Acquisition of government bonds on the secondary market by the European Central Bank aimed at financing the Members’ budgets independently of the capital markets is prohibited as well, the court recalls. It does not rule directly out the new debt buying programme announced by the ECB on 6 September, but leaves the door wide open for future appeals: "To what extent the decision taken by the Governing Council of the European Central Bank on 6 September 2012 on a programme concerning the purchase of government bonds of financially weak Member States whose currency is the euro complies with these legal requirements was not a matter for decision in the present proceedings." Obviously, the question of the ECB's role and safeguarding of its independence will continue to focus the debate on the eurozone future. 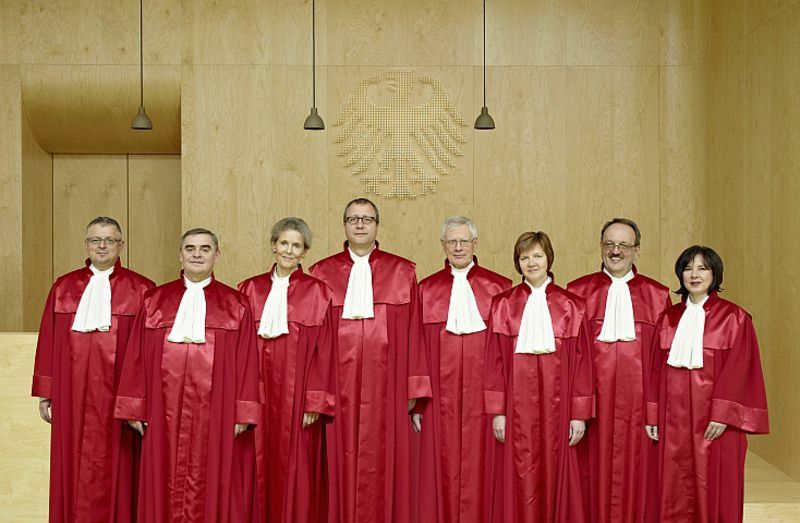 But the German Constitutional Court has sent an eloquent signal to European policy makers: "new political decisions are needed as to how to proceed further". Against the background of the recent debates in Germany on a future referendum on the European integration, the court made it clear that it is the politicians who have to offer solutions first. And if a change in European law is needed in order to maintain stability as a fundamental value of the monetary union, it must be done.